dBs Dialogues: How Do We Manage Mental Health and Creativity? For our next dBs Dialogues series we’re talking about mental health in the creative industries we teach. How does this affect the lives and future careers of our students? Do they have the tools to support themselves and others? What can we do as an industry to change the narrative? Over the years we’ve seen first hand how much this issue plays into the lives of our students. We’ve also seen how critical it is to have a supported environment to overcome challenges. By creating a space for meaningful dialogue we hope to bring about positive change. Kicking off the series on Thursday 25th January, 2018 will be our panel discussion on “self medicating and harm reduction”, facilitated by Anna Codrea-Rado. Anna is an independent journalist with ten years experience covering youth culture, the arts, mental health, and social justice for The New York Times, Guardian, VICE, New York Mag and more. She writes about many things to do with youth culture, but has a particular focus on drugs and harm reduction. Amongst other harm reduction panels, she most recently moderated a panel at SXSW 2017 about what music festivals can do to prevent drug deaths. Berlin is a nightlife mecca, providing not just an endless opportunity to party but an extensive network of professional venues, clubs, artists, bookers & labels essential to the careers of our students. How do you keep a healthy balance when combining socialising and work? What are the risks of self medicating? What is harm reduction and how does it work? Read New York Times, Vice and Guardian writer Anna Codrea-Rado’s research backed tips on Making Partying Safer. To help continue the conversation and find ongoing ways to support our community, we’ve put together a round up video and list of resources for harm reduction and addiction support in Berlin: find those things here. Drama is often fetishised, with the image of the high-profile tortured genius promoting the idea that “the more you suffer, the better your art”. How does that idea relate to the real world experience of achieving your creative goals? Are creative people more prone to mental health conditions? What can you do to create balance? You can read a summary of the event and watch a highlights video as well as one featuring the entire panel discussion here. Sometimes it’s not just our own mental health that we need to be aware of. The people in our lives and what’s going on for them has a profound impact on our own experience. Whether colleagues, house mates, family or partners, if they are struggling with mental health this can impact you too. What can you do to minimise this impact? How do you provide support without risking your own stability? What tools can you use to build resilience? We’ve made a short highlights video, as well as the full panel discussion, for you to watch in addition to some resources to help you take care of yourself and others around you. Take a look at those here. In October this year Help Musicians UK released part two of their pivotal research into the state of mental health in the UK music industry. Exposing higher than average mental health issues in the music industry, the report summaries issues that exist across all creative industries. From the precariousness of earnings and constant exposure to feedback, to definitions of success and issues around equality, diversity and safety. We challenge the film and music industries to work with us on creating a better environment for our future creative practitioners. Who is responsible for duty of care? How do we avoid exploitation of young professionals? What can we do to give credibility to the creative career paths of our students? Check out our recap video, the full panel discussion and list of related resources here. At dBs Berlin we’re focussed on producing well-rounded graduates who will make a positive impact on the industries they work in and who are tomorrow’s creative leaders and influencers. dBs Dialogues opens up conversation around the issues that affect them and their futures. 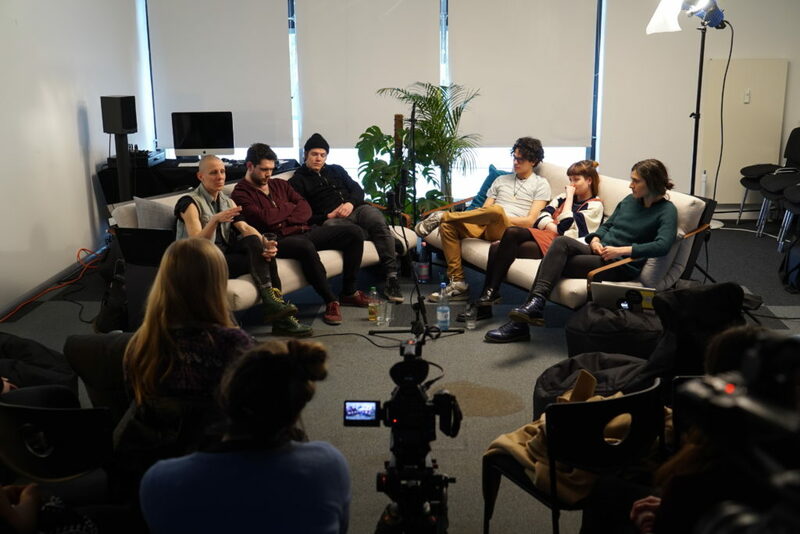 Our first series, in conjunction with female:pressure, discussed the challenges faced by women in music production. 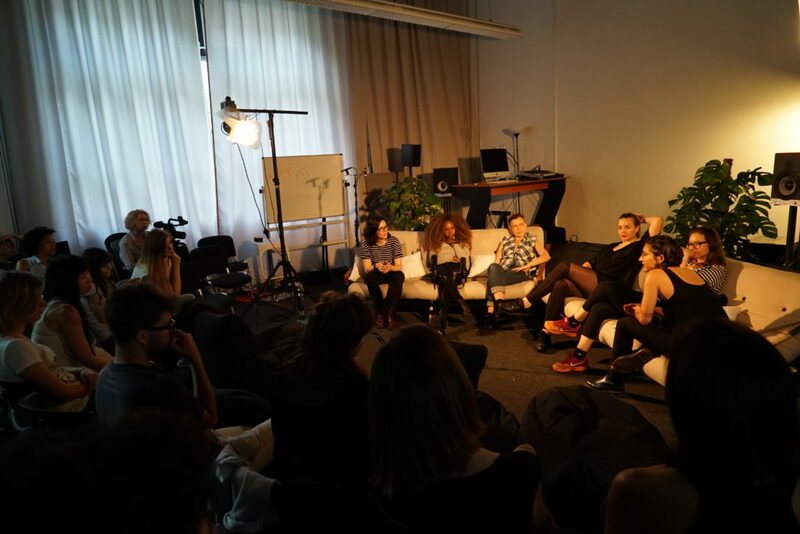 These events proved hugely beneficial for female producers both inside and outside our school and showed us the importance of having a safe space for conversation. We hope our next series provides the same supportive foundation to build a better industry for the students and their peers. Learn more about our inaugural series launched in 2016: Why aren’t more women studying music production?